Good morning everyone. 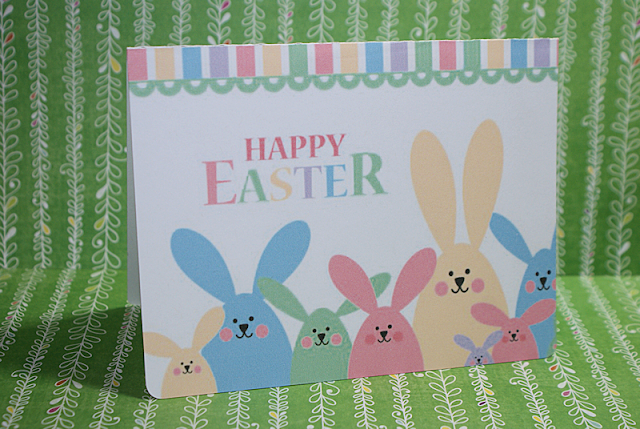 Stopping in this morning to share with you a Pastel Bunnies Easter card. This card was created as a print n cut. Very quick and easy card. Cute card!! Love the pastel colors! The bunnies are just way TOO cute!!ADORABLE! Oh, how sweet! Love the pastel colors and those cute bunny faces! Adorable card, those bunnies are the cutest! What a super cute card!! Love the soft colors and the sweet bunnies!! Have a great day. Adorable little bunnies! Darling card. So stinken cute! The bunnies are darling Nana!